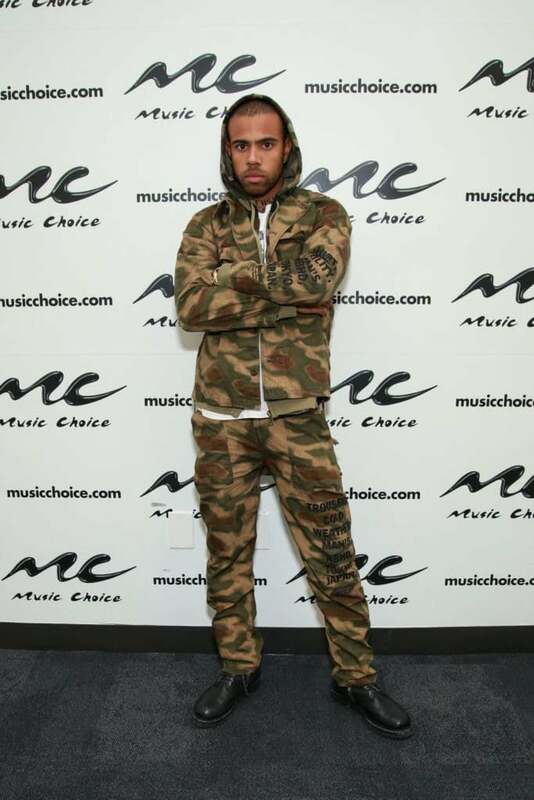 Celebrities walked the red carpet at the Versace fall 2019 fashion show and at the Global Citizen Festival in South Africa. 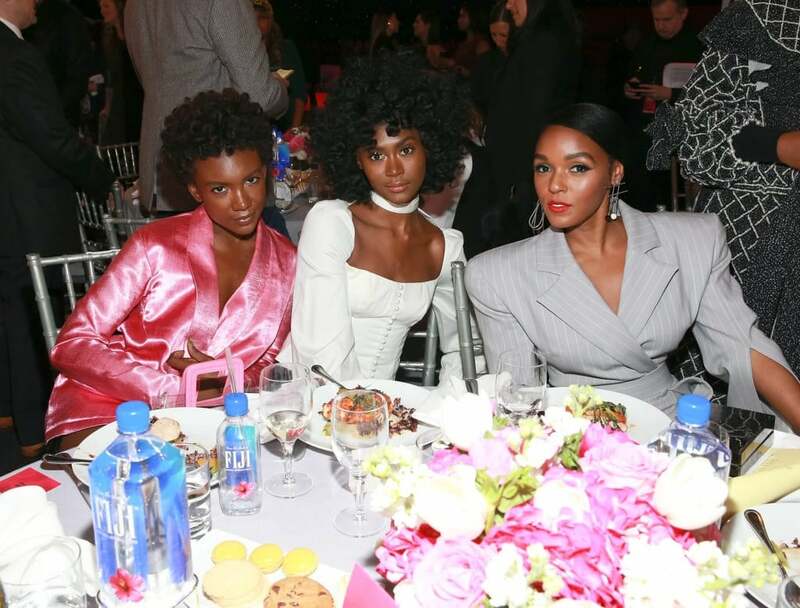 Mary J. Blige attended Versace's fall 2019 fashion show at the American Stock Exchange Building in New York City on Sunday night. 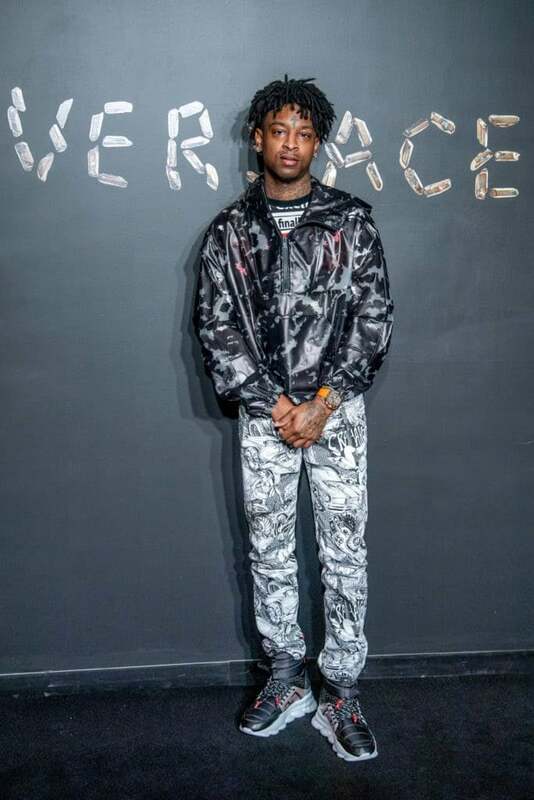 21 Savage attended Versace's fall 2019 fashion show at the American Stock Exchange Building in New York City on Sunday night. 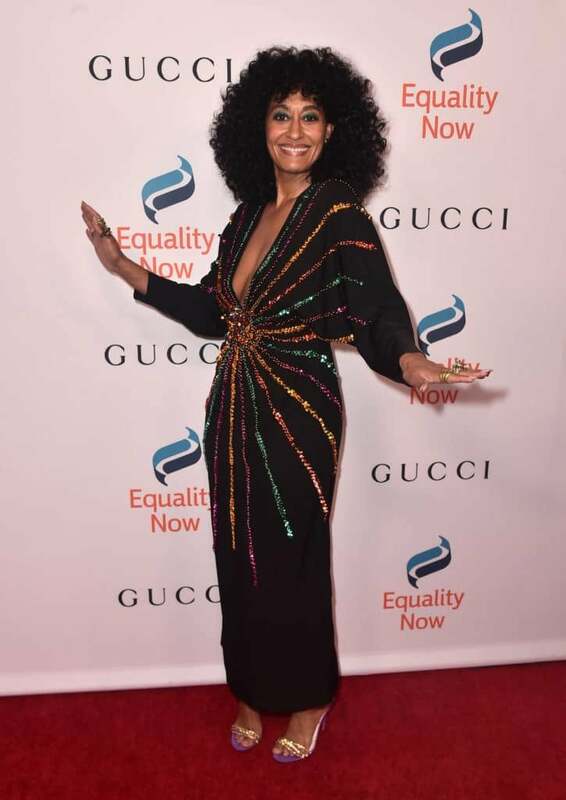 Tracee Ellis Ross attended Versace's fall 2019 fashion show at the American Stock Exchange Building in New York City on Sunday night. 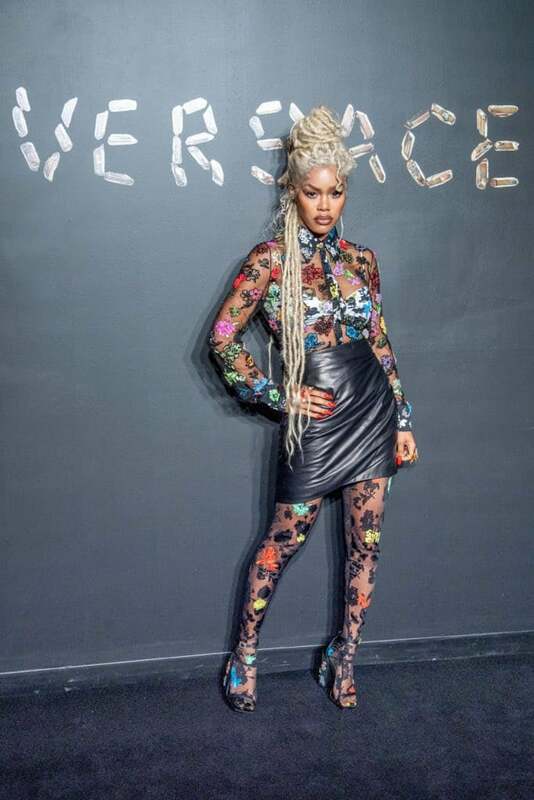 Teyana Taylor attended Versace's fall 2019 fashion show at the American Stock Exchange Building in New York City on Sunday night. 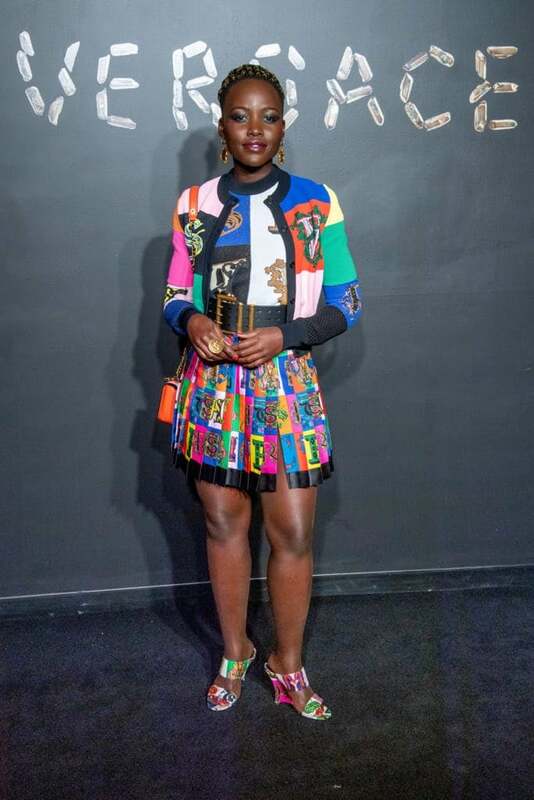 Lupita Nyong'o attended Versace's fall 2019 fashion show at the American Stock Exchange Building in New York City on Sunday night. 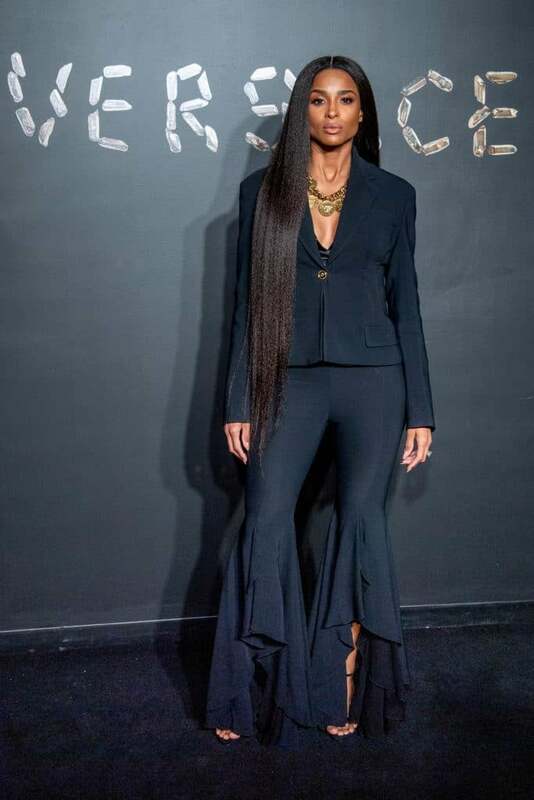 Ciara attended Versace's fall 2019 fashion show at the American Stock Exchange Building in New York City on Sunday night. 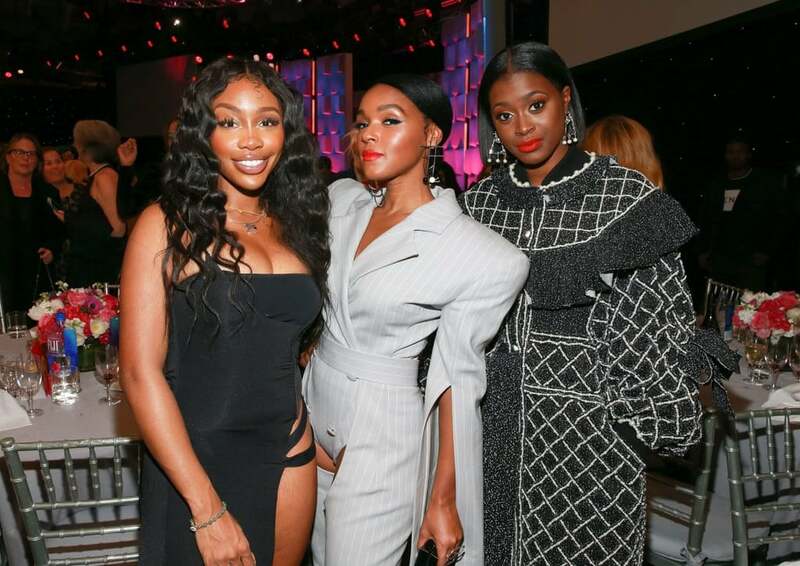 La La Anthony attended Versace's fall 2019 fashion show at the American Stock Exchange Building in New York City on Sunday night. 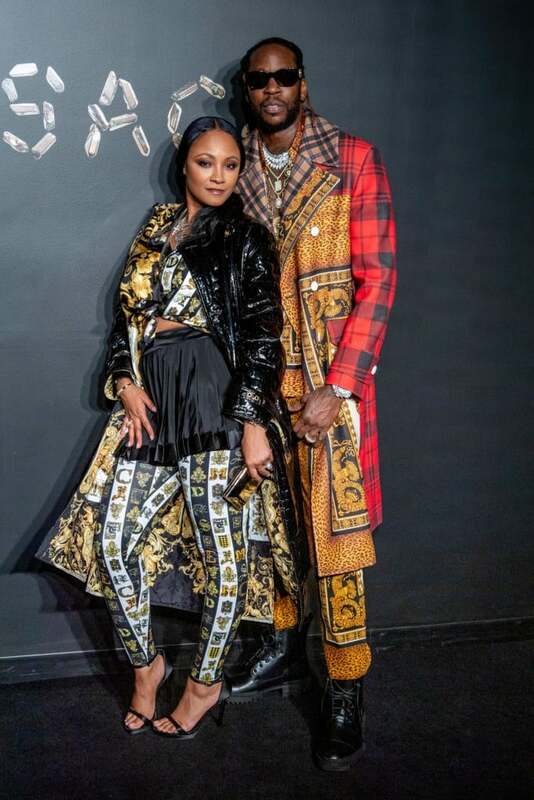 Kesha Ward and 2 Chainz attended Versace's fall 2019 fashion show at the American Stock Exchange Building in New York City on Sunday night. 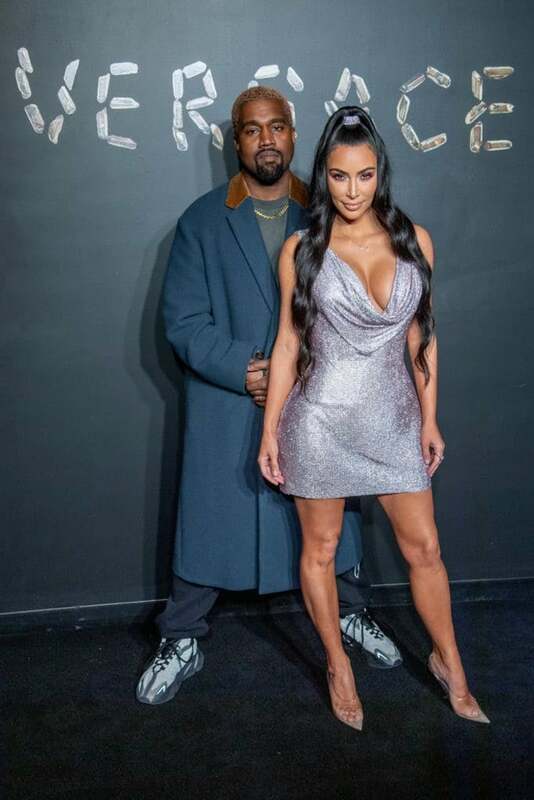 Kanye West and Kim Kardashian West attended Versace's fall 2019 fashion show at the American Stock Exchange Building in New York City on Sunday night. 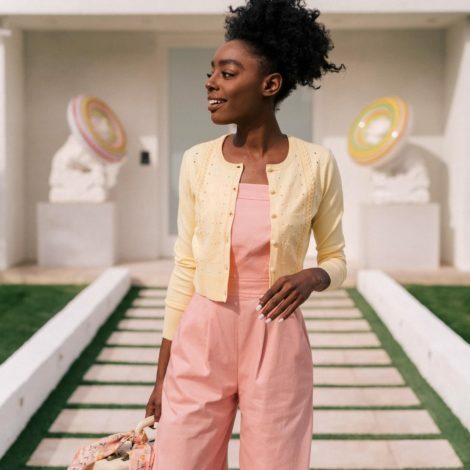 Pearl Thusi attended the Global Citizen Festival: Mandela 100 on Sunday in Johannesburg, South Africa. 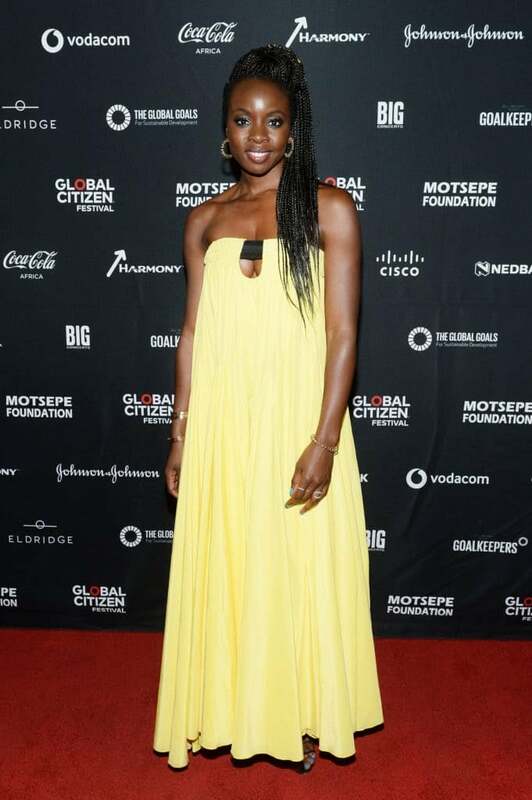 Danai Gurira attended the Global Citizen Festival: Mandela 100 on Sunday in Johannesburg, South Africa. 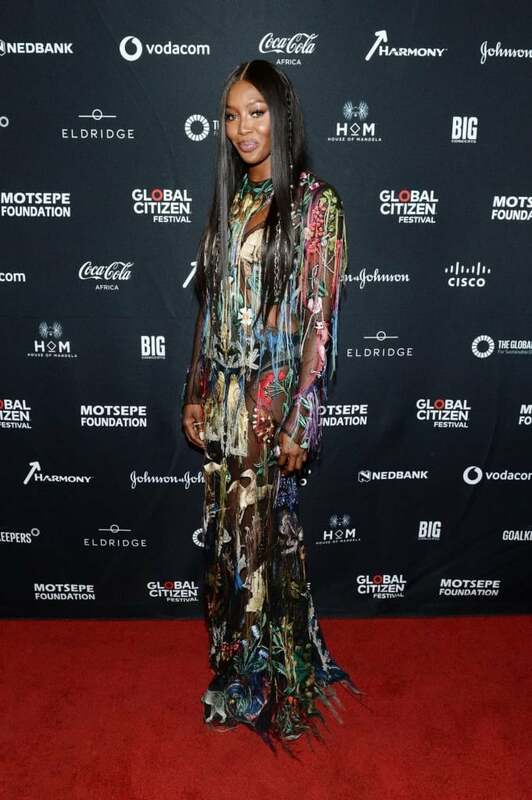 Naomi Campbell attended the Global Citizen Festival: Mandela 100 on Sunday in Johannesburg, South Africa. 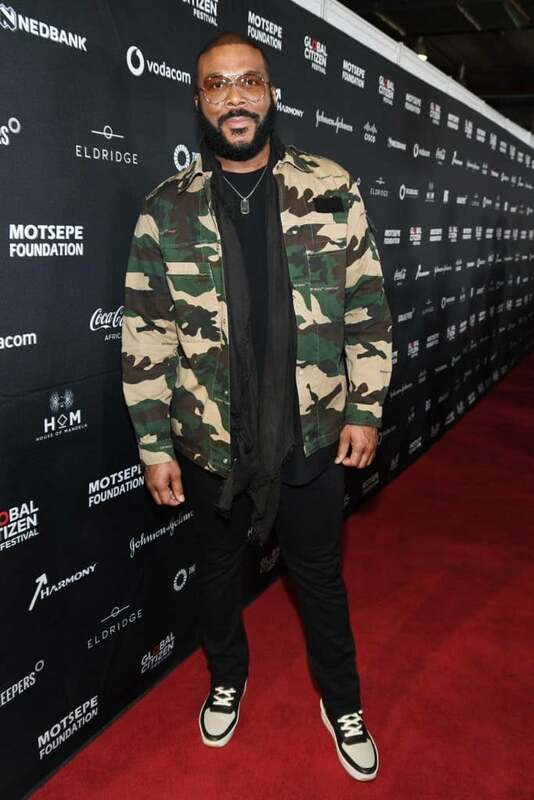 Tyler Perry attended the Global Citizen Festival: Mandela 100 on Sunday in Johannesburg, South Africa. 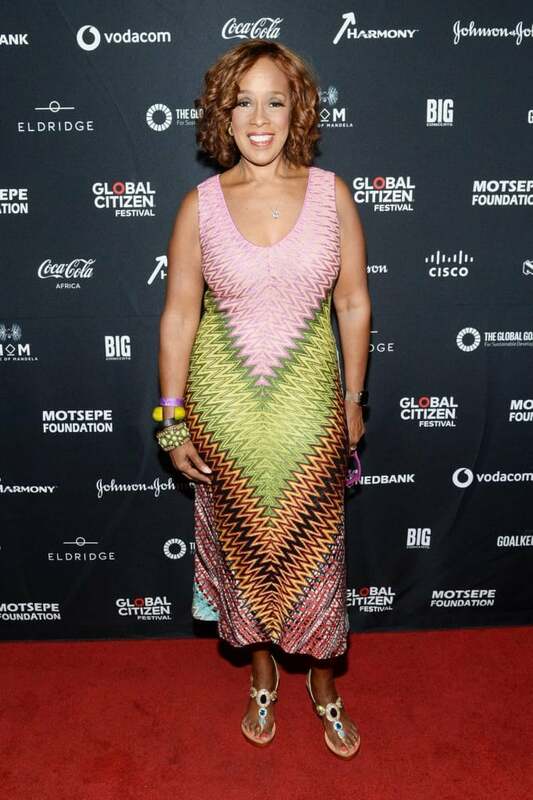 Gayle King attended the Global Citizen Festival: Mandela 100 on Sunday in Johannesburg, South Africa. Bonang Matheba attended the Global Citizen Festival: Mandela 100 on Sunday in Johannesburg, South Africa. 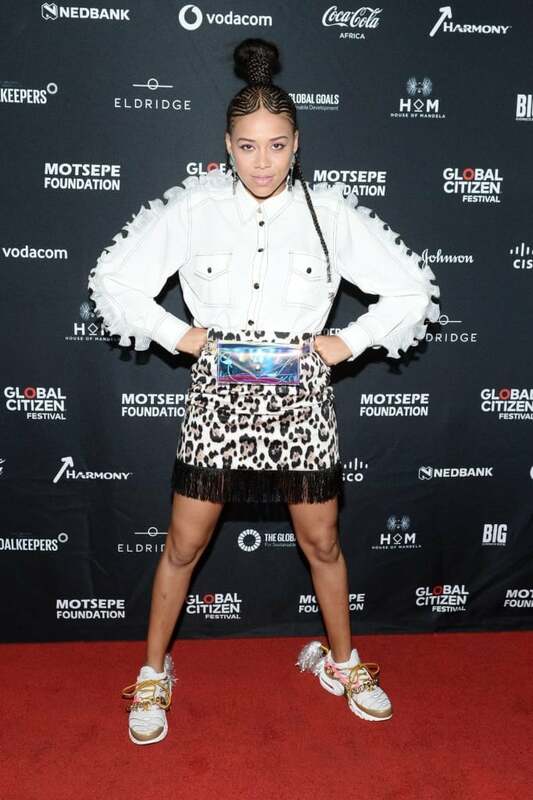 Sho Madjozi attended the Global Citizen Festival: Mandela 100 on Sunday in Johannesburg, South Africa. 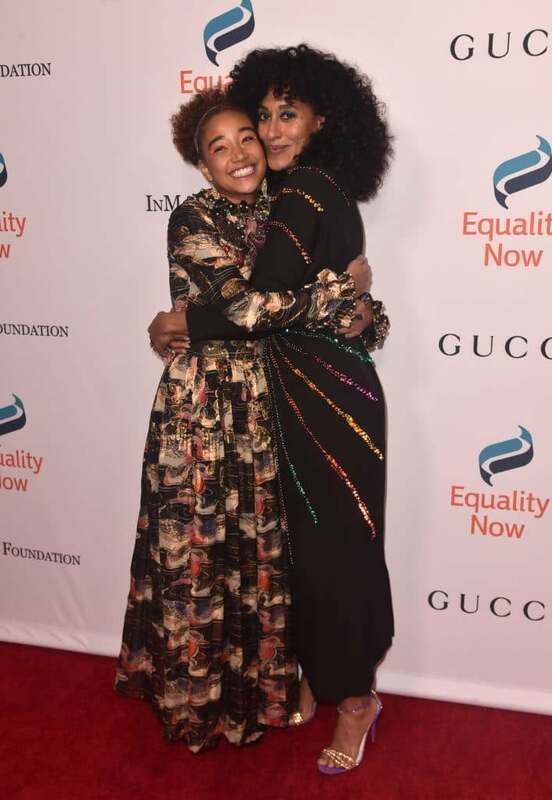 Amandla Stenberg attended the Trevor Project's TrevorLIVE LA 2018 at The Beverly Hilton Hotel on Sunday in Beverly Hills, California. 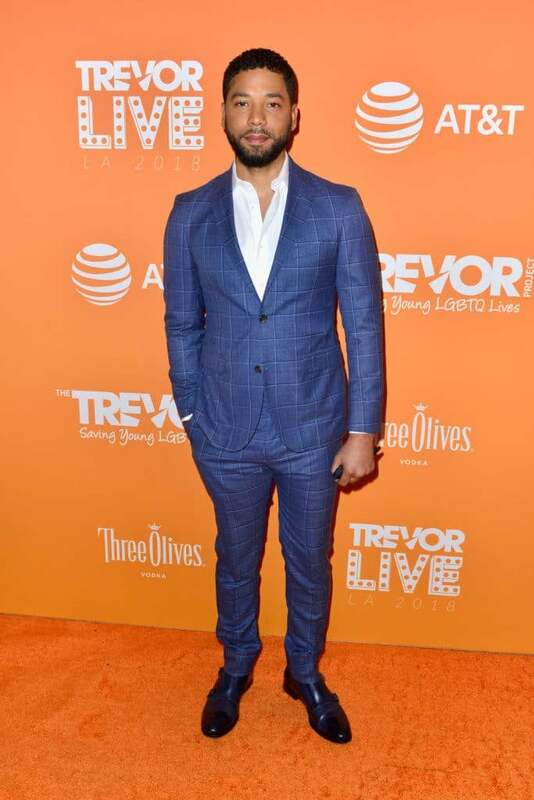 Jussie Smollett attended the Trevor Project's TrevorLIVE LA 2018 at The Beverly Hilton Hotel on Sunday in Beverly Hills, California. 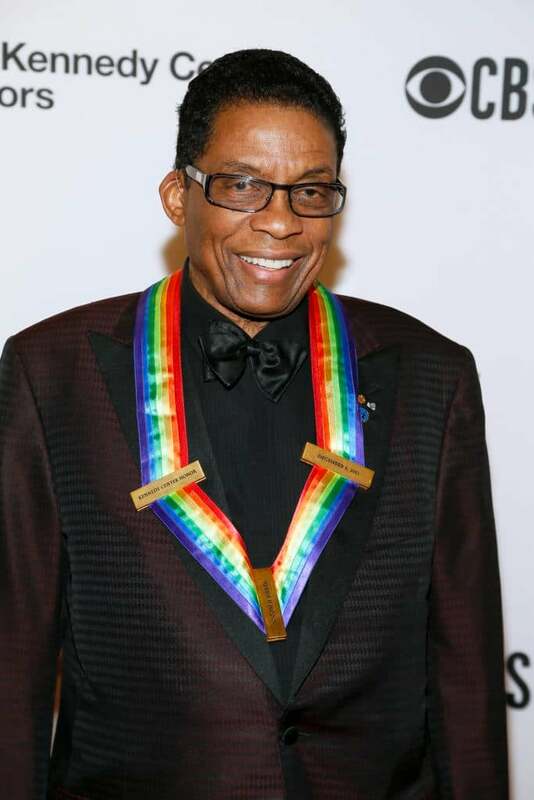 Former honoree Herbie Hancock attended the 2018 Kennedy Center Honors at The Kennedy Center on Sunday night in Washington, DC. 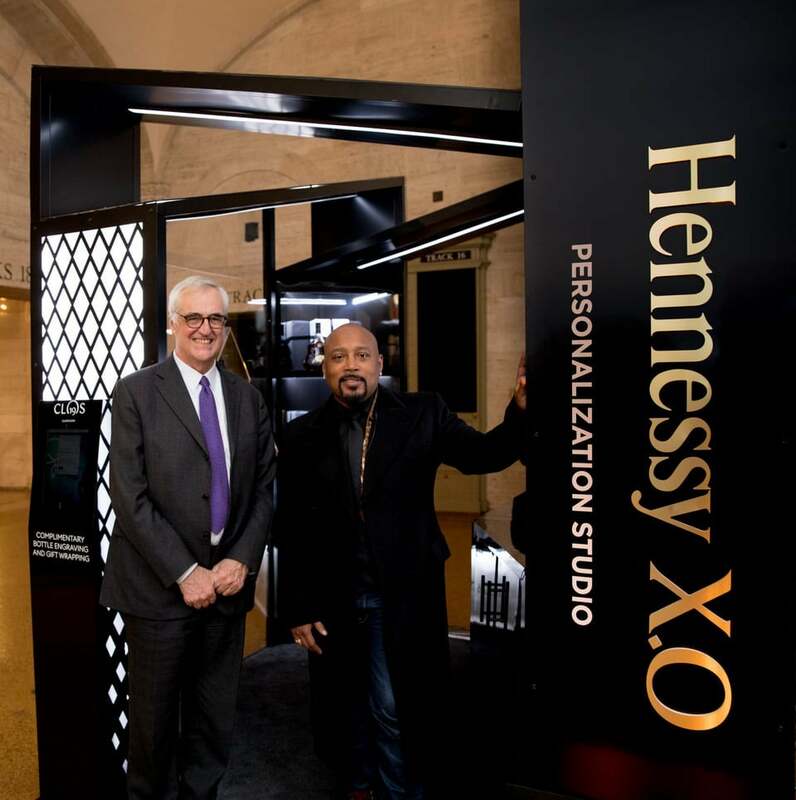 Eighth generation family member Maurice Hennessy and Shark Tank's Daymond John visit the Hennessy X.O personalization studio, brought to you by Clos 19, in New York City's Grand Central Station. The X.O Holiday Personalization Studio, open through December 12, invites consumers to explore the multi-sensory journey of Hennessy X.O, while enjoying complimentary engraving and gift wrapping. 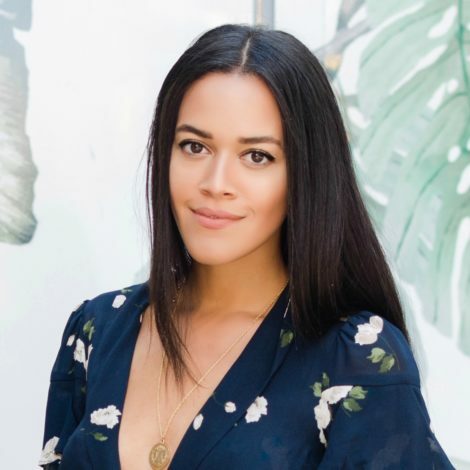 The studio offers guests the opportunity to customize many of Moët Hennessy’s iconic brands, including Hennessy, Ardbeg, Glenmorangie, Veuve Clicquot and Moët & Chandon. 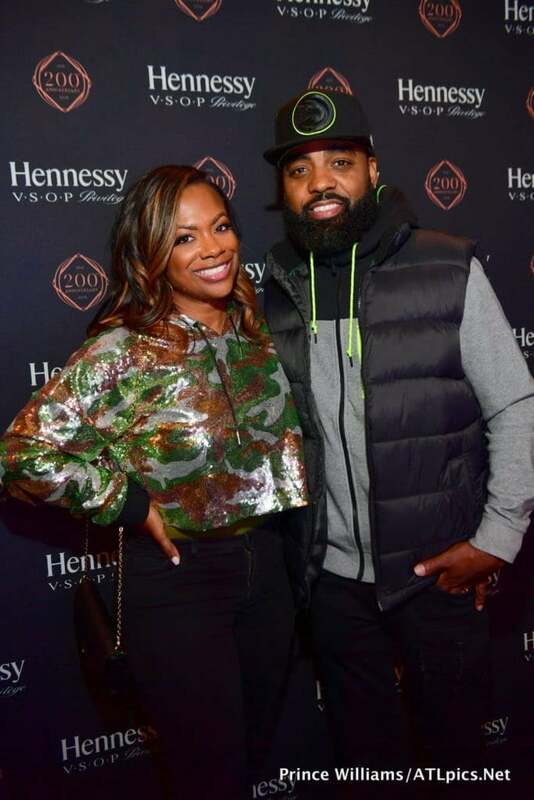 Kandi Burruss and her husband Todd Tucker attended the Hennessy Privilège Leading Lady Installment of #PrivilegeToast, honoring Abdul-Baqi. 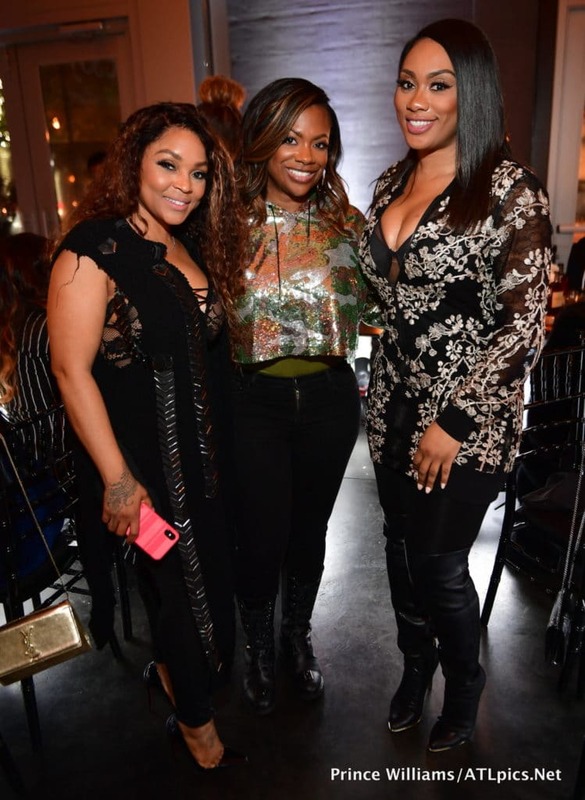 Kandi Burruss and friends attended the Hennessy Privilège Leading Lady Installment of #PrivilegeToast, honoring Abdul-Baqi. 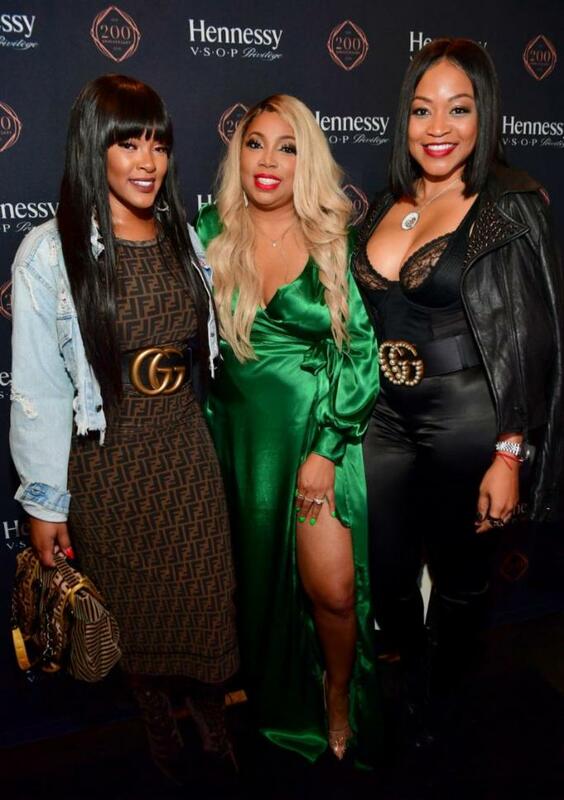 Malaysia Pargo, Khalilah Abdul-Baqi and Monyetta Shaw attended the Hennessy Privilège Leading Lady Installment of #PrivilegeToast, honoring Abdul-Baqi. 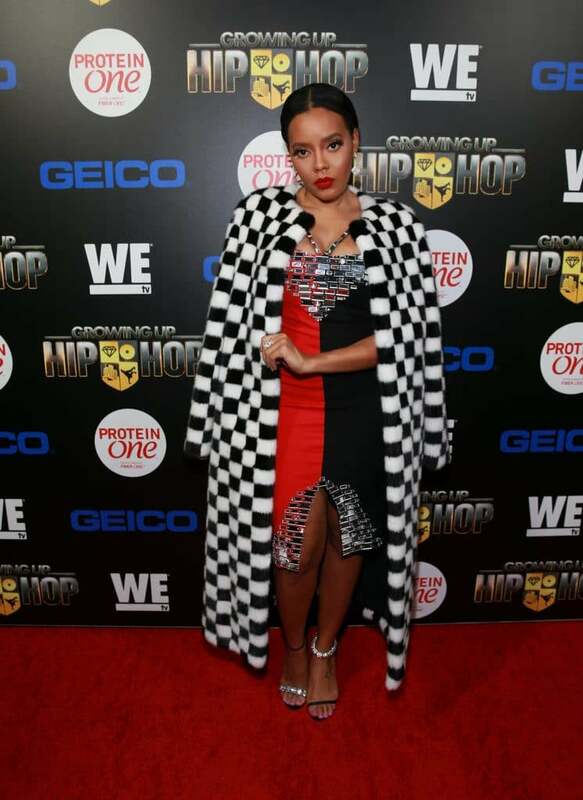 Angela Simmons attended the premiere for his show, "Growing Up Hip Hop," in New York City on Tuesday night. 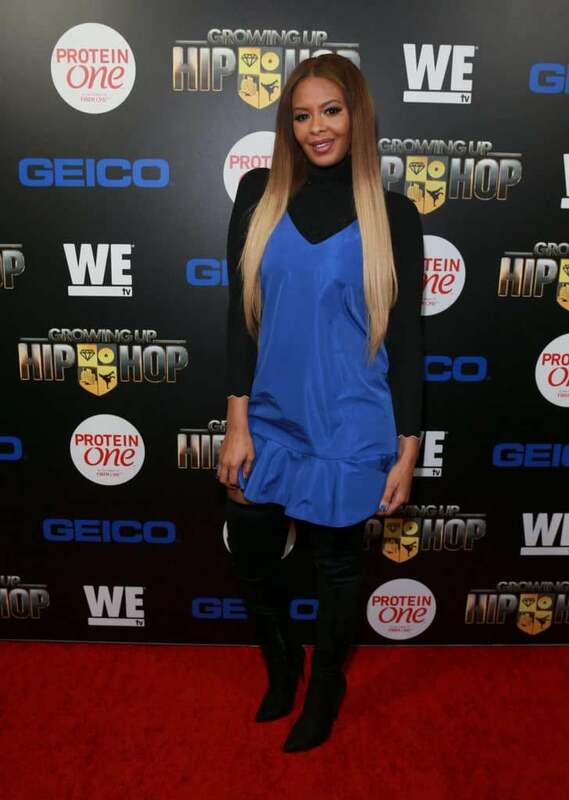 Vanessa Simmons attended the premiere for his show, "Growing Up Hip Hop," in New York City on Tuesday night. 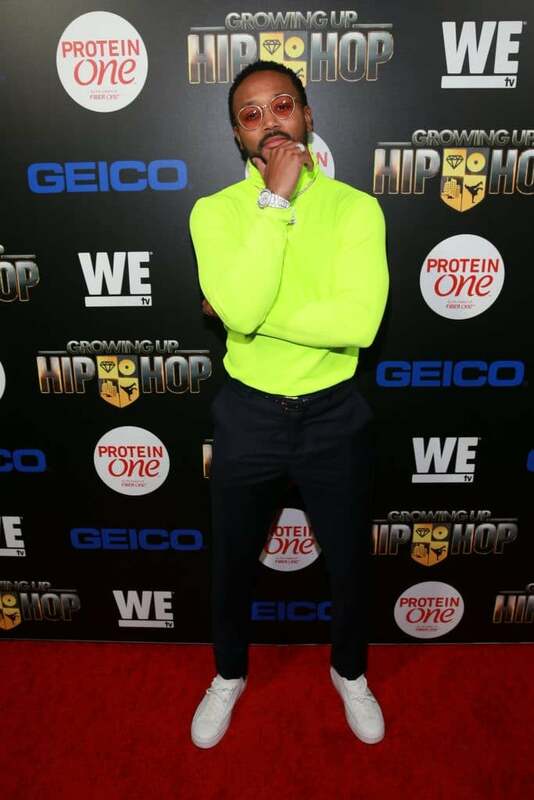 Romeo Miller attended the premiere for his show, "Growing Up Hip Hop," in New York City on Tuesday night. 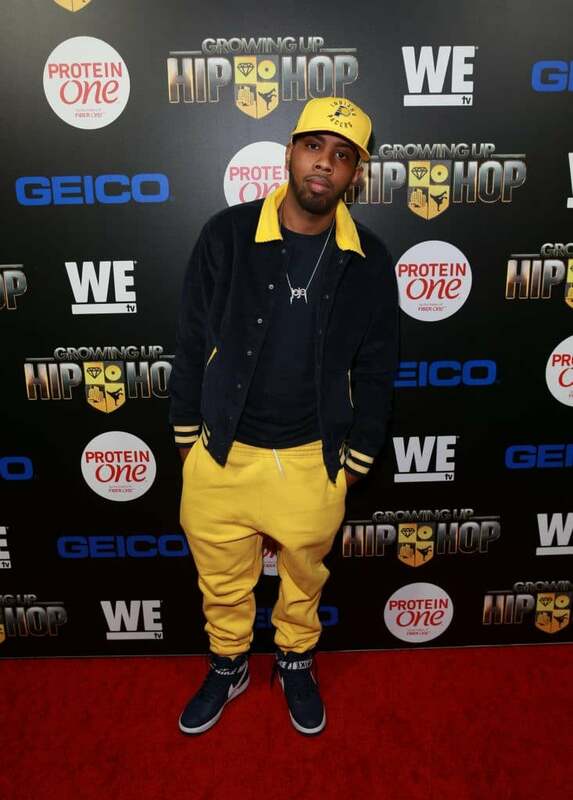 Jojo Simmons attended the premiere for his show, "Growing Up Hip Hop," in New York City on Tuesday night. 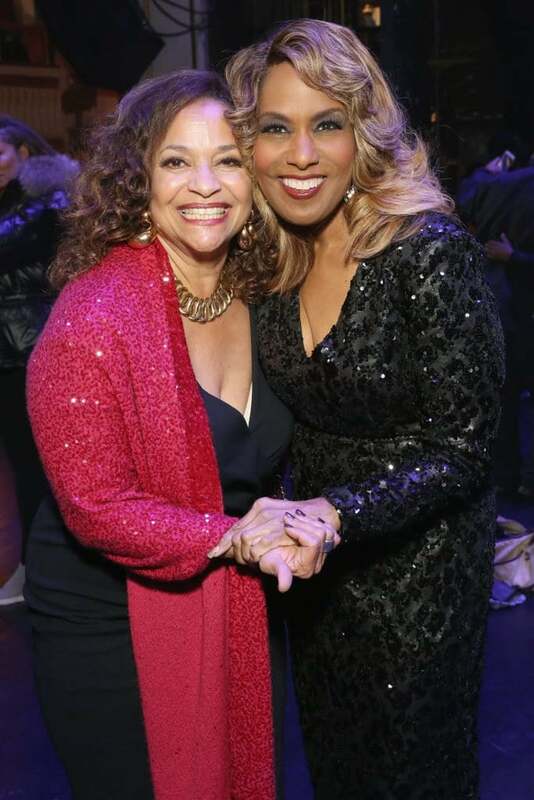 Debbie Allen and Jennifer Holliday attended "AHF and Debbie Allen Present Keeping the Promise-1,000,000 Lives In Care: Celebrating Icons of Dance" at The Apollo Theater last week in New York City. 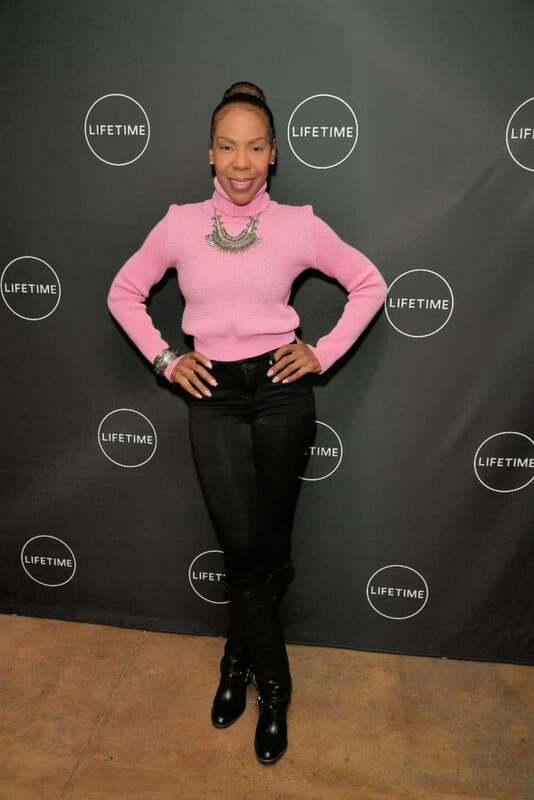 Andrea Kelly attended Lifetime's screening of Surviving R. Kelly at Neuehouse on Tuesday night in New York City. 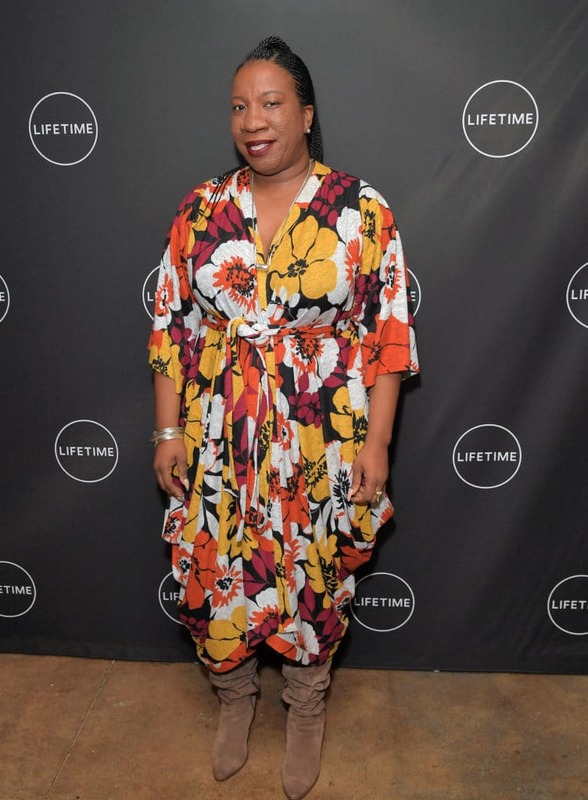 Tarana Burke attended Lifetime's screening of Surviving R. Kelly at Neuehouse on Tuesday night in New York City. 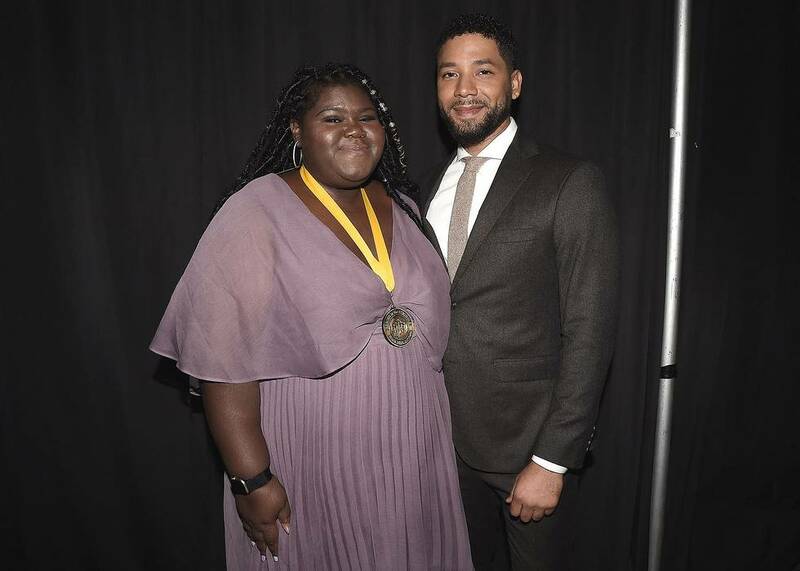 Gabourey Sidibe and Jussie Smollett attended the “Heroes in the Struggle” Black AIDS Institute Gala inside The California African American Museum in Los Angeles on Saturday night. La La Anthony, wearing Pyer Moss and Reebok, attended the 32nd Annual Footwear News Achievement Awards, supported by Ruffino Wines, on Tuesday night in New York City. 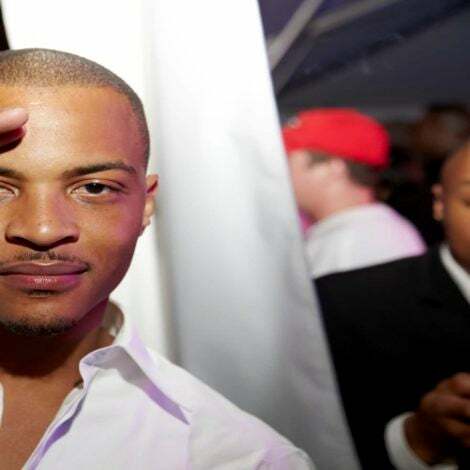 Victor Cruz La La Anthony, wearing Pyer Moss and Reebok, attended the 32nd Annual Footwear News Achievement Awards, supported by Ruffino Wines, on Tuesday night in New York City.